If you’re doing a google search for a “keynote speaker North Carolina,” you’re likely to find hundreds of results. Besides the thousands of speakers who offer keynote services in the United States, there are hundreds that call North Carolina home, making it difficult if not impossible to choose the perfect professional North Carolina keynote speaker for your company. The good news is that there are 3 easy ways to find the best North Carolina keynote speaker without spending hours trolling the internet, looking for a needle in a haystack. A strong North Carolina Keynote Speaker will be able to showcase a variety of client testimonials on their website and in their communications with you. These testimonials should be gathered from a variety of different clients and cover a wide range of different speaking engagements. A combination of video, audio, and written testimonials is also promising. Watch out for keynote speakers with multiple testimonials from a single event or company – this is often a sign of inexperience. The best North Carolina keynote speakers have earned their speaking “merit badges” through various certifications, such as the CSP, Certified Speaking Professional certification awarded by the National Speakers Association. Since just about anyone can call themselves a North Carolina keynote speaker, certifications help differentiate between amateurs and experienced professionals. Speaking of experience, does your keynote speaker have it? Great North Carolina Keynote Speakers can boast 1000+ speeches with a variety of repeat clients. Look for client names in your particular industry to make sure the keynote speaker has a strong understanding of your unique needs. 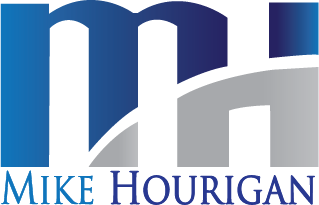 Mike Hourigan is a Keynote Speaker North Carolina, Author and Consultant who specializes in the development and implementation of listening and negotiation skills training and speaking for large and small companies. Contact North Carolina Keynote Speaker Mike Hourigan at 704-875-3030, 888-PRO-KEYNOTE or fill out the form below.